MCSC provides no-cost business consultations as one of our primary services. MCSC and The Women's Business Center has an elite team of consultants that have extensive expertise in fields including marketing, organizational development, finance, management, etc. Consultations are offered as an individual service, or as a supplementary service to MCSC graduates to assist them in starting or profitably growing their business. Jesse Portillo is a leadership coach and business consultant working in this field for the past five years. An expert in marketing and promotions, Jesse has been working in the Broadcast Industry since 1984. In 1995, Jesse and his wife Clarita opened their family broadcast consulting company, Big Radio Pro Inc. Jesse is also graduated as elementary school teacher, a college degree in Communications, and Business Challenge at Choice Center University Las Vegas. Jesse joined MCSC and WBC in 2011, and has been working in Bakersfield, Kern, and Monterrey Counties, and expanding. Jesse’s vision is to lower the percentage of small business closures, and increase the number of success stories that will inspire others to grow. Jesse is married to Clarita Portillo, and a father of three children: Sara, Lesly and Jesus Miguel. Clarita Portillo is a life coach and business consultant working in this field for the past five years. She is an expert in Marketing and Promotions. Clarita has been working in the Broadcast Industry since 1995 in the family consulting business: Big Radio Pro Inc. Clarita is also graduated as Computer technician and Biology, also graduated from the course in Business Challenge at Choice Center University Las Vegas. Clarita joined MCSC and WBC in 2011, and has been working in the area of Bakersfield and Kern County, Monterrey County, and expanding. Clarita’s vision is to lower the percentage of Hispanic small business closures, and increase the number of success stories that will inspire others to grow. Clarita is married to Jesse P. and a mother of three children: Sara, Lesly and Jesus Miguel. Ms. Angel Cottrell is an energetic professional with more than 20 years’ experience in successful program development and execution of complex multifaceted strategic plans for a variety of education, non-profit, and economic development entities. Angel designs, manages, and leads goal-driven projects which deliver significant outcomes. Her most recent project is the Student Professional Development Initiative launched for CSUB BPA. Since inception in Fall 2015, the Student Professional Development Initiative (SPDI) has conducted four pilots. 289 students and 32 business advisors who represent 27 companies have participated in the program. SPDI seeks to deliver local college graduates, who are professionally career ready, to the local workforce. Angel is a leader who cultivates relationships with others that garner respect and a collective commitment to the successful achievement of goals. She has administered and managed multiple federal and state grants with varying regulatory requirements across various education, non-profit, and economic development entities. She is an experienced professional in community economic development, job creation, business and relationship building activities, and thoughtful communication of ROI to interested stakeholders. Cottrell’s former positions include SBDC Director, Women’s Business Center Director, Small Business Loan Fund Director, and Director of Operations. Currently, she works with CSU Bakersfield’s School of Business and Public Administration (CSUB BPA) as the Outreach and Public Affairs Coordinator and is an Adjunct Faculty member in the School. She is a consultant with Mission Community Services, a local Women’s Business Center and privately consults and coaches business owners who desire to successfully: Advance Your Business-Advance Your Life. Angel holds a Bachelor Degree of Arts in Sociology from UC Santa Barbara and a Master of Arts in Organizational Management from Antioch University. She resides in Bakersfield. Keith C Wolaridge is a retired, award-winning ex-bank executive that today manages and owns business and personal development firm. With the goal of assisting people and companies to reach their highest possible potential. After advising hundreds of customers and lending millions of dollars to small business owners Keith now uses this experience helping others protect and realize their dreams. Founder and Owner of From Above Financial. Keith provides customized solutions that match the individual. Throughout Keith’s professional career he has built a solid reputation as a leader in both the business and civic community. Keith’s primary strength to connect and is passionate about instruction, inspiring, and invigorate people. He possesses the ability to convey complex material in lay terms to build support for ideas and drive decisions among diverse groups and individuals. This is done by blending an aptitude for reasoning, analysis, along with an exceptional talent for public speaking. 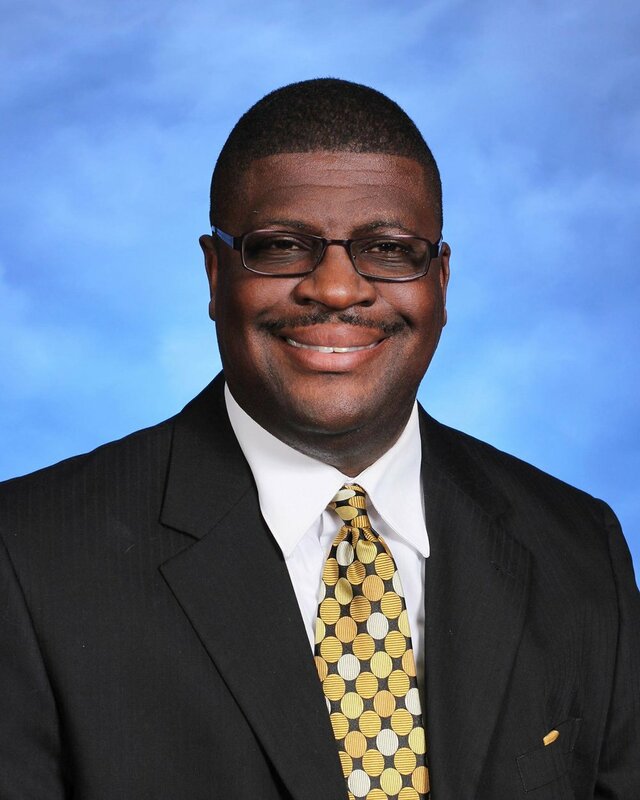 Due to his passion for education, in 2010 Keith was elected to the Panama Buena Vista Union School Board where he currently serves as Board President. Keith possesses a M.S. Degree in Leadership from Grand Canyon University, B.S Accounting from California State University Fresno. In addition, a graduate from the prestigious University of Washington’s Pacific Coast Banking School and locally, Kern Leaders Academy. Most recently, Keith earned his Master’s in Governance from the California School Board Association. Ali is the Co-Founder of the Kern County Black Chamber of Commerce and Founder of the KCBCC Development Foundation where he served as President of both until 2013. Ali was born and raised in Pittsburgh, PA., where he attended Point Park University in Downtown Pittsburgh. Ali has a BS Degree in Electrical Engineering, and a Minor in Business Administration. He spent approximately thirty years in industry working in Project Engineering and Project Management positions. Ali has recently completed courses in Leadership with the Rockwood Leadership Institute, Financial Management Training in Fresno, CA, Business Development and Management Training at San Diego State University and Mastering Business Growth, by Infinity Business Solutions, in Chula Vista, CA. Ali has taught evening classes at San Joaquin Valley College in Industrial Technology and several Business Plan Development classes for the Small Business Administration. Ali also has over 25 years of service in the non-profit arena, serving on several Boards and in many officer positions. As a consultant, Ali assist in business start-up and operations for individuals seeking all levels of technical assistance. Gregorio G. Gonzalez is a Business Owner, Public Speaker and Brand and Marketing Strategist who partners with solopreneurs and local business/educational/community organizations to grow their personal and professional brands reaching the general public. After spending nearly a decade working in sales, marketing, public relations and management for several local and national business organizations and startups, Gregorio knows that the true asset and heart of an organization is the people representing it. Gregorio has written several articles that have landed coverage in print and digital broadcast outlets. In addition to his business startups, public speaking presentations, fundraising contributions, and sales/marketing experience, Gregorio has also served as a Business and Spanish instructor for several career colleges. Gregorio holds a BS in business marketing and an MBA and is a certified hypnotherapist designation with several specialties providing PTSD, ADD-ADHD, smoking cessation workshops, group and private sessions for veterans and the general public. Linda started Miles Funding Resources with her son in 1997. She consults and helps placement of financing for small business owners. Some of the financing provided includes SBA loans, bank, financing, factoring, asset based lending, commercial real estate, leasing, mergers and acquisitions. Linda also consults with business owners for start-ups, companies already in business or buying a business. Linda assist clients with business plans, cash flow projections, application assistance for bank loans and SBA loans, various other financing including purchase orders financing, accounts receivable financing, marketing and other business needs. Linda also teaches a class on Starting a Small Business. Jeffrey graduated from Stanford with a degree in Mechanical Engineering and a Masters in Business Administration. He served in ever-increasing positions of responsibility with two Fortune 500 companies - Merck and FMC Corporation. Jeffrey founded an agricultural machinery manufacturing company which was listed in INC Magazine Group of the 100 Fastest Growing privately-held companies in 1980. He later headed a computer databse information service for California Agribusiness, formed as a joint venture by three California newspapers in Bakersfield. For 13 years, Jeffrey was Director of a Small Business Development Center in Bakersfield, providing advice to small business in Bakersfield, Kern, Inyo and Mono Counties. Currently, he is the Principal in a Management Consulting Firm, JLM Associates, specializing in small to medium-sized businesses. Jeffrey is an adjunct faculty member in the Management Department of Cal State University, Bakersfield. He is a member of Bakersfield Rotary and serves on the Boards of both For-Profit and Non-Profit organizations. He is the past president of the Fox Theater Foundation and a prior member of the Downtown Association of Bakersfield. Oscar has been an account since 2005, and head of his own accounting firm, Axume & Associates, since 2011. Oscar graduated with a BA in Accounting from Cal State University, Northridge, and became a licensed CPA in 2004. Oscar advises on preparation of tax returns, general ledger account analysis, month-end closing procedures, various accounting software, preparation of financial statements and pension plans. Oscar also teaches QuickBooks classes for MCSC in Kern County.